Today we bring you a great collection, the 10 Most Popular Karaoke Songs of All Time. In general, it is very hard, or to say almost impossible to measure the popularity of songs, and rank them based on it. We examine that in our 10 Most Popular Songs of All-Time list as well. There’s always the factor of “taste” and the time factor, as popularity isn’t measured nowadays as it was measured 20, 30 years ago. Today’s list is about Karaoke Songs, and that is even harder to do, as that’s not something often seen on TV, but more in private. 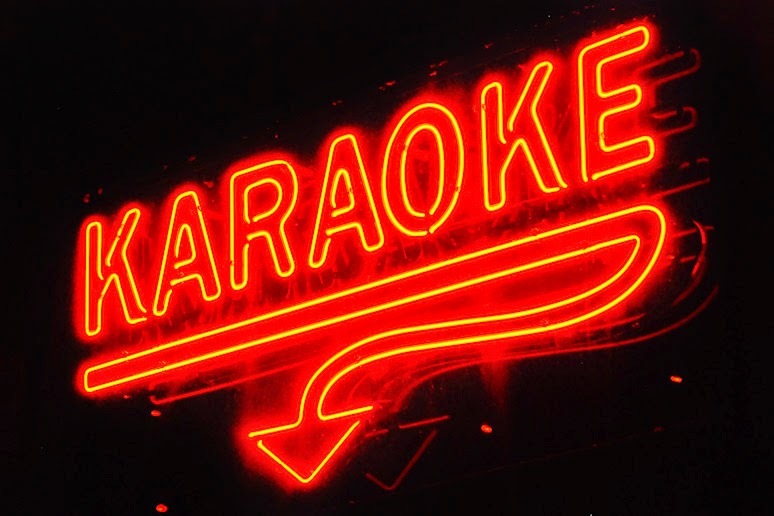 Whether it is in the shower, on your way to work, in a small pub in front of a crowd, or up on a festival stage, karaoke was and still is one of the world’s most loved leisure activities. There’s no doubt in our mind that you’ll find a song you love singing in the section below. If by any chance you missed the opportunity to sing karaoke, or didn’t have the wish to try it, believe us, you won’t regret doing it. Isn’t singing one of the most beautiful activities, something done by the very first human civilizations? Now, technology has advanced so much, with just a few clicks and tweaks, you’ll find yourself sounding just like your favorite artist. Let’s take a look at the most popular karaoke songs of all time. The song in 10th place is originally performed by the famous band KISS. It reached the rank of the top 20 songs in many charts, or even higher, in the year 1976. Some of the bands that later covered this rock song were “Poison” – who recorded it in 1987 for their “Less Than Zero” soundtrack and “Summer Set” – the power-pop band. “I Wanna rock and roll all nite/ And party everyday” – lyrics of the “Rock & Roll All Nite” song, to which every homework-avoiding kid can relate to. In 9th place stands the highly entertaining and motivational song “Don’t Stop Believin’ “. Originally performed by Journey in 1981, it was covered by “Glee” whose cover even got the song into higher rankings on many billboard charts. In 2009, it reached the 4th spot, and five years later was used in the movie “Rock of Ages”. Also, a nice rendition of the song was performed on the show “Family Guy” by Seth MacFarlane. Here we have a song which is known to everyone. We all learned its lyrics and picked it up during our childhood, and grew up with it, while singing it in school, the choir or with our families. That’s right, we are talking about “The Gambler” a song originally performed by Kenny Rogers. “Summer Nights” is the song ranked in 7th place, originally appearing in the Broadway musical “Grease” in February, 1972. The people who performed “Summer Nights” in the musical were John Travolta and Olivia Newton-John. Their version reached No. 5 on many charts, during the year 1978. If you have ever seen the sitcom “Parks and Recreation”, you might have witnessed Amy Poehler’s and Jon Glaser’s version of this karaoke hit. Even though it isn’t even in the top 3 of our list, there was a period when the whole planet was into this amazing song, and there wasn’t a single person who didn’t know the lyrics to it. That period was during the year of 2002, when Britney Spears did her karaoke version of “I Love Rock & Roll” in the movie “Crossroads”. She wasn’t the original performer of the song; that was the band “The Arrows”, who introduced this song to the world in 1975. Also, one of the well-known covers of the songs belong to Joan Jett & the Blackhearts. If the year 2002 was the year when everyone knew the song listed above, then 2014 was the year of “Let It Go”. Originally performed by Idina Menzel in the Disney musical “Frozen” it captured many hearts by storm. The song can still be heard in many contests like The Voice, especially The Voice Kids, in many countries. One of the best-known covers is the pop version by Demi Lovato, which is also quite popular. That is why “Let It Go” is No.5 in the 10 Most Popular Karaoke Songs of All Time list. In 4th place is one the greatest hits performed by “The Police, truly. “Roxanne” is even more popular as a karaoke song than as a single. A lot of upcoming talents who come to show their singing talent in various shows, choose to sing this powerful song. It’s simply one of those tunes where everyone has to sing along. Now, this is getting serious. In 3rd place lies a hit, so often heard on TV, in movies, simply everywhere. Who doesn’t like to sing “Born To Be Wild” once in a while? Originally performed by Steppenwolf, it is a classic rock tune, which will always create a great atmosphere, no matter how good or bad the singer is. Yes, we all know it’s a bit old, but the fact is – people love to sing it. The runner-up spot goes to a song performed Mr. Neil Diamond, who is neither a classic rock star nor a lounge singer, but somewhere in between. The song “Sweet Caroline” which maybe doesn’t ring a bell immediately, is Mr. Diamond’s greatest hit ever, which is hard to sing, but the loveable piece. Be warned if singing this on your own – the chorus is pretty special. Many times we wrote that the things separating No.2 and No.1 in our lists are small, just tiny details; that is not the case with the winner of the 10 Most Popular Karaoke Songs of All Time. “I Will Survive” is one of the most famous disco songs, which will light up the atmosphere of every party. Honestly, do you happen to know anyone who doesn’t know the words to this tune, or its melody? Gloria Gaynor performed it originally in 1979, and already then it became an instant hit. Jennifer Love Hewitt was one of the many actresses and actors who sang their version. She did it in the 1998 movie “I Still Know What You Did Last Summer”. We hope you enjoyed this list, now go grab yourself a mic, and start singing. 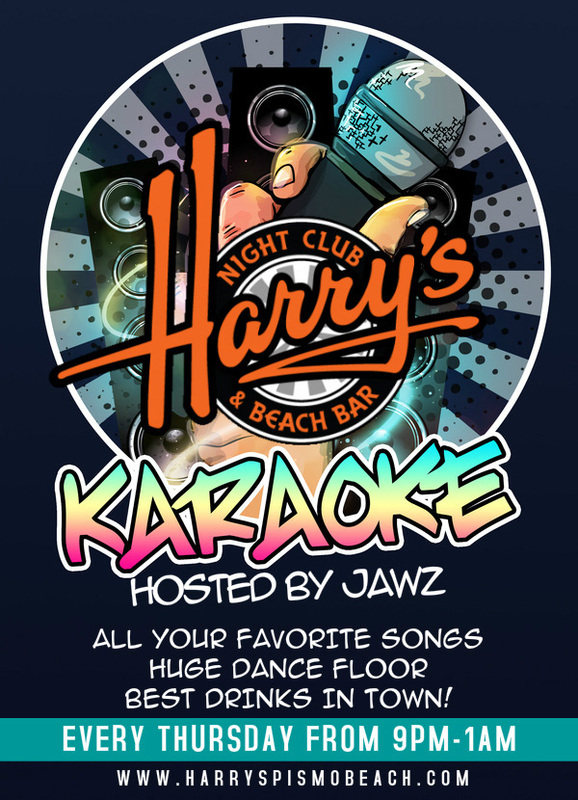 Stop by Harry's on Thursday nights at 9pm for Karaoke by JAWZ! We always have an amazing time, great song selection and awesome people! See you in Pismo Beach! 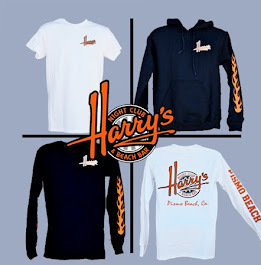 We at Harry's love supporting our local musicians and providing a Live Music Venue to play at, but we need you (bands) to help us (venues) help you (again, bands)! Here is some good advice to get a better turnout at your gigs and grow your audience, on and off the stage! All around the world, there are tens of thousands of musicians that play covers. The presentations vary considerably including, but not limited to - wedding bands, tribute bands, corporate bands, party bands, top 40 bands, bar bands, acoustic happy hour solo artists, and weekend warriors - and most play on a regular or at least semi-regular basis. Just about all of these musicians play for some compensation, usually monetary. And I'd venture to guess that the majority of them prefer to play with people in the room. In this day and age, there are so many things that a band or artist that plays cover tunes for money could easily be doing to elevate their success - even if it's only by a small amount. In fact, there are things that bands should be doing and they're simply not, whether it's because they don't know how, or they don't put thought into it, or they think they don't have the time, or they don't realize how much of a difference some small bit of effort can make. I've been running the Facebook Page Cover Band Central for a while now. The effort is to showcase ways a cover band or artist can improve their situation, with the intention being to entertain as well as educate other musicians. With many bands sharing their links, I've come across many instances where some of the points below are neglected, executed poorly, or just completely omitted. I want you to succeed. I really, really do. Read the points below, and if you have any interest in having more people at your gigs and potentially making more money, and you are violating any of the infractions listed, then act on them immediately. They are all simple fixes that take very little time and very little effort, but will pay off well in the long run. I should preface this list by pointing out that not every performer or band is looking for anything more than they already have. There are many musicians that have regular day jobs and just play as a hobby or for fun. Some play once in a while, usually locally, and have an audience of friends and/or regulars, or perhaps a built in crowd, and are content with the way things are. If you fall under those categories, then you can close this article now. You're doing just fine and if you're happy, you don't need to change a thing. Some of you know this stuff cold, too, so you'll find all of this info to be obvious. This article is directed more towards the players that are looking to improve upon their existing situation, in whatever capacity, and need a good checklist or at the very least, good reminders. If that is you, then read on! If you're reading this article, chances are you have a Facebook account. If you play in a cover band or project and you don't have a Facebook Page as well, you are missing out on a simple and free way to gain more fans, and a platform that you can use to easily communicate. Even if you just play once in a while, and only five people join your Page, that's five people that can stay on top of everything you're doing. But the potential is unlimited, and the options are greater than your regular Facebook account. With a Facebook Page, you can create a video section, upload a photo gallery specific to particular categories - including memorable shows, promo shots, fan pics, etc. - keep a current gig calendar, and so much more. It's a free and easy place to interact with your friends and fans, and if you play live cover songs, there is no excuse not to have one. As a performer, you want to have a representation of your specific act online. You don't necessarily neeeed a website, but in most cases it will help you and your band. The benefit of having a website is that you can customize it any way you like. This will give you the ability to showcase what you bring to the table, and will help you to rank in search engines when people are looking for a band. It also makes you look more professional, and that is a big plus in getting work and getting more people interested in you. Websites these days are easy to create and maintain and are very inexpensive. You can buy a domain name for less than ten dollars, and find a hosting company that fits your budget and needs. WordPress.org has thousands of attractive templates to choose from to design a site to your liking. It all takes just a couple of hours to build, and mere minutes a day to maintain. As little as fifteen years ago, in order to communicate with fans, you had to gather names and addresses at gigs, copy them all into a mail program, print address labels, design and print a card or mailer, buy stamps, spend hours licking and sticking, and hope that when the intended addressee receives your notification that they don't just throw it out. The process ate up a lot of time and money, and was largely ineffective. The best people to reach out to are the ones that already like you and either know you as a friend, or a friend's friend, or have seen you perform. In order to keep in touch with these people and keep them informed and involved, you want to create a mailing list and send periodic updates to everyone on your list. All you need to do is write one email on a regular basis - whether it be weekly, bi-weekly, monthly, quarterly, or even semi-annually - and send it to everyone on your list with one click. There are several ways to collect e-mail addresses for your list. You can have a friend or fan work for you at gigs as a street team member and collect names on a piece of paper. You can gather up addresses from your Facebook Page simply by asking. You can create a field or even a splash page on your website that asks for a visitor's first name and email address. You can create a Group on Facebook in addition to your Page, and send out your emails exclusively to your Facebook connections. Or you can get creative and think of even more ways of reaching out. The point is, there's never been a time where it's so simple and cheap to communicate with fans and keep them interested and engaged. There is no reason not to do this, even if your fan base is very small. You'll find that once you make it a regular habit, your fan base will start to grow. The quality of digital cameras has increased exponentially in just the last five years. Even cell phone cameras have jumped from three megapixels in 2007 to today's high-quality ten megapixel (and above) cameras. There is no good reason to not either take pictures at your gig or have someone take pictures for you. It will keep people engaged and increase your visibility online. You can and should take photos of your band playing, hanging out or goofing off. You'll also keep more fans involved by taking crowd photos and tagging them in your posts. If you can't do it yourself, another option is to ask people in the room to take photos and post them on your Page. It can't hurt to ask. The worst that can happen is nobody does it, and you're still right where you were. In doing so though, this gives you another way and reason to promote your website or Facebook Page. Even if none of the above choices are optimal, another idea is to post an ad on Craig's list and hire someone to come shoot pictures for you. There are lots of people sitting around with nothing to do that would be happy to come out and take some pictures for free admission, or a few free drinks, or some extra spending money. The upshot is that you want to take as many pictures as you can. In the old days, you had to buy film, have it developed, scan it into your computer, and upload it to a website. Now you can shoot as many digital pictures as you want and post them on Facebook (or Instagram) (or Twitter) and have them up online instantly. As long as you post photos showing your band or friends and fans in the best light, it will do nothing but help you. Just as with photos, the ability and ease has made it a no-brainer to be shooting as much video as possible. People online love videos and they love to share them as well. There are very few better ways to promote your band and expose yourself to a wider audience than posting videos. In addition to photos, cell phones today can take some pretty decent quality video. Even if you're just posting snippets of songs, posting anything will always help you, as long as it's a quality performance. Options to get this accomplished include asking a friend to shoot at one of your gigs, simply setting up a video camera on a tripod and getting some still video, or hiring some inexpensive help to do the work for you. If you want to go big, there are companies that you can employ to shoot high-quality video complete with editing a finished product that you can be proud of. In addition to promoting your band and gaining wider exposure, you can even monetize your clips on Youtube so that you make some extra cash for the band. It's not a lot of money, unless you get a ton of views or your videos go viral...which can happen. But there's no chance that you will enjoy any of these advantages if you neglect to shoot video of your performances. Of course, having video, pictures, a website, a mailing list and a Facebook Page is all kinda pointless if your vocals are off. When people go to watch a band, most key in on the vocals. People like to sing along with songs they know, and if the singer is off pitch, everything else becomes moot. This is especially true for background and harmony vocals. Your lead singer may be perfectly in tune, but if someone is singing backup and it sounds funky, it will make the whole band sound bad. One easy fix is to have vocal rehearsals with your band, and make sure that everyone knows their parts solid before going out and performing. You'll see bands at times where someone is singing but really shouldn't be. So if you can't sing on pitch, then don't sing. Conversely, if you can sing and you're not contributing, then you need to have a mic in front of you at your gig. More vocals make everything sound fuller. Even if you're just chiming in with gang vocals in a sing-along chorus, you'll improve the band's overall sound by joining in the mix. As stated above, given all of the opportunities today with social media, you and your band have a wealth of possibilities at your fingertips. Some bands that aren't necessarily the greatest players do extremely well in the business because they interact with their fans and friends online. If someone posts something positive to your fan Page, you should always at the very least "Like" it, or reply with a comment or a simple "Thank You." People want to be recognized and appreciated, and if they are recognizing and appreciating you, then it is a good practice to reciprocate. The simplicity of tagging friends and fans on Facebook makes it easy to grow interest online and get more people involved and talking about your band. Information spreads very quickly on the internet, and the more positive posts that appear on people's News Feed, the better for your project. Stay involved, reach out to people, and connect as often as possible. Encourage everyone in your group to post about everything. You may think it doesn't make a difference, but I've seen numerous instances over many years where it does, in fact, help you to sustain and grow your fan base. What makes you different than everybody else? You should be able to answer that question yourself. If you're struggling to come up with a response, then you may need to rethink your presentation. It can admittedly be challenging to set yourself apart from other cover bands, especially when many play a lot of the same songs. However, you are a unique individual, and your group is made up of other unique individuals. That needs to shine through with your performances. Embracing what makes you different is a key element of the overall package. It could be something as simple as the name of the band. Or the way everyone dresses. Or the way you put your show together. Or perhaps you have an idea that may seem too unconventional and are afraid to try it. Whatever it is, it's important to find or create something about your act that makes you stand out from the pack. You want people to remember you and talk about you, and one of the best ways to do that is to come up with an interesting angle that nobody else has thought of or incorporated. I made a list that gets 400-500 hits every day from search engines with musicians searching for ideas for songs to play in their band. The Top 50 that I selected were based on songs that most bands play at one time or another, or often times, at every show. This is not to say that you need to play all or even any of these songs. It's simply a list of essential, popular songs to have in your arsenal as a cover musician. Song selection is perhaps one of the most important elements that you want to consider when playing covers. Many people will default to several of those top 50 tunes, which usually works out okay for them. Others, however, will play songs that they like, and not even consider what the audience wants to hear. The truth is that the best approach is to play what's proper for the gig, and what will please the people that come to the venue. To have some success and longevity in the business of playing cover tunes, you need to spend a good deal of time and exercise great care with the songs that you choose to play. You want to find the right balance of making everyone in the band happy and pleasing the crowd at the same time. It's pointless to play only songs you like, unless of course, the majority of people at your gig will enjoy them just as much. I've played in close to fifty different cover bands, and I've seen hundreds more. I've watched several hundred band videos online; looking for artists that are different, talented, engaging, and likable. But probably the biggest aspect that gets me excited about any band is that they are having fun. Regardless of how skilled the players in a band are, if they are smiling and having a good time on stage, then the crowd will have a good time too. Most people that come out to clubs and bars are not musicians, and they're okay with you flubbing a note or a vocal. Most of the time, they won't even notice, as long as the people on stage are having fun. On many occasions when I've been on stage playing in a band, or with several of the videos I've seen, the musicians on stage look bored. They appear to be going through the motions and are just there for the free drinks or a paycheck. That is not what music is about, and it's not what people that are going out to have a good time want to see. 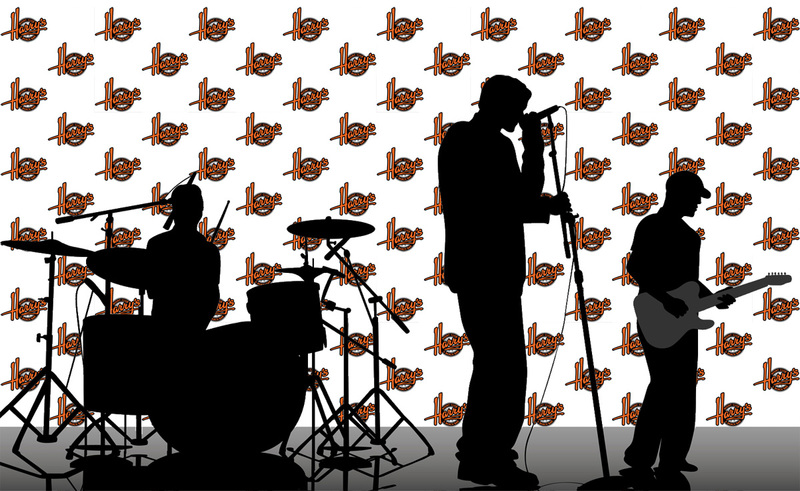 If you play in a cover band, or as a duo, trio, or solo artist, you are in the entertainment business. You are the movie screen of the theater. Your job is to entertain. Playing songs isn't always enough. You have a responsibility as the focal point of the room to get people singing, dancing, drinking, partying, and having fun. If you just want to play music for yourself, there's nothing wrong with that. But if you are out in public, on stage, you need to look like you're enjoying yourself. Many, many people would kill to be able to play music and get paid for it. So be grateful, smile and have fun. You're fortunate to have the skill to play an instrument and perform in front of people. Let that be glaringly apparent with every note you play. It will contribute more to your success than you can even imagine. 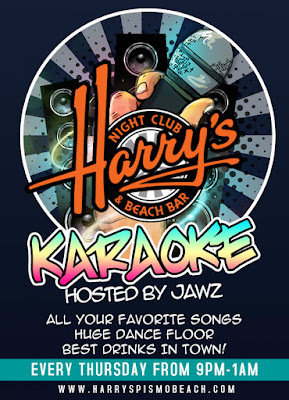 Click here for Harry's Live Entertainment Schedule online!